1.Use a deep conditioner in your hair about once a week. This will help protect your hair from the sun rays and chlorine. You can put it in and leave it on your hair for a long time, but I don’t usually have the time to do that. 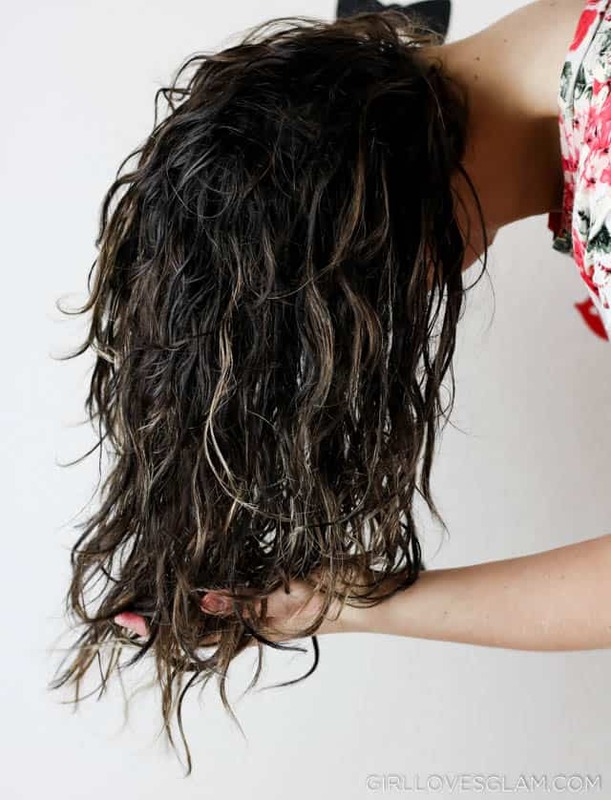 When I am in the shower, I typically will wash and condition my hair first and try to get a lot of the water out of my hair before putting deep conditioner on. Then I go on with the rest of my shower routine while the deep conditioner sits in my hair. Then I just rinse it all out before getting out of the shower. It doesn’t add any time to my shower, but it makes a world of difference for my hair! 2. Use clarifying shampoo throughout the summer. It can be pretty harsh on your hair, so definitely don’t let it be your main shampoo. I would recommend using it once a week or once every other week. Clarifying shampoo is going to help get build up out of your hair. This is especially important if you spend a lot of time in chlorine! 3. Spray your wet hair with sea salt spray. I love the added texture it gives my hair! A lot of days I will just spray it in my hair and let it air dry. It makes for a great beach wave look. 4. Exfoliate in the shower with a loofah. Really focus on your legs, arms, and back. This will help get rid of the dry skin that comes with spending more time out in the sun. Your skin will be nice and soft when you take the time to exfoliate! 5. Use a shower oil on your skin. I like to use it by putting it on the loofah. I can exfoliate while moisturizing my skin with the shower oil. The oil just adds even more moisture into the skin. There are even several shower oil options that are cleansers as well, so you don’t even have to add an extra step into your shower routine. 6. 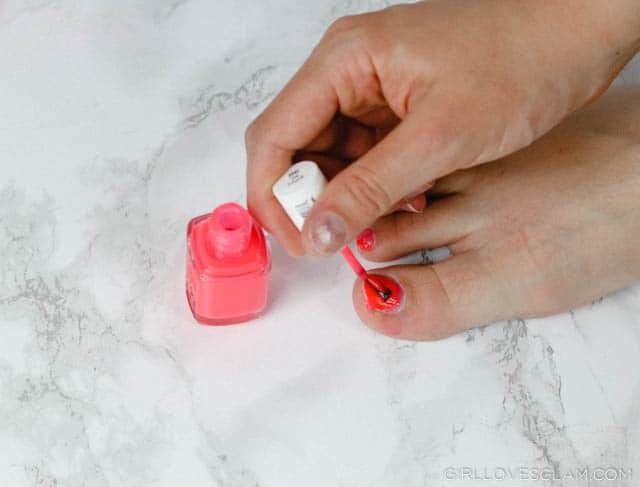 Paint your nails with a bright colored nail polish. This will give the illusion that your skin is more tan than it actually is. The same rule applies for white nail polish! 7. Use waterproof mascara and eyeliner so that you can act on a whim and go swimming at any point. 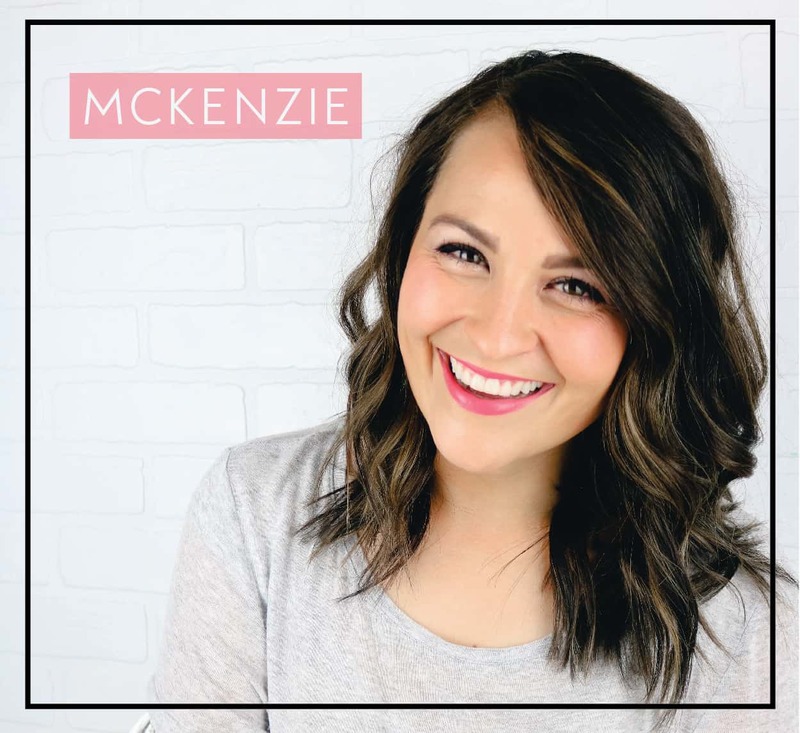 You don’t want to miss out on an opportunity to play in the pool with your kids, just because you are worried about your makeup getting all over your face! 8. Wear hats to protect your face and your hair from the harmful sun rays! 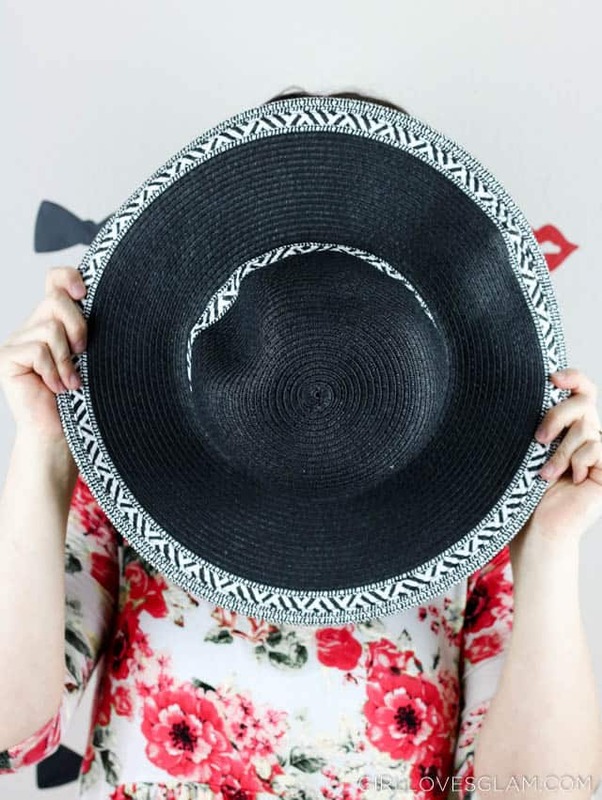 As an added bonus, you don’t even have to worry about doing your hair that day and hats add to your summer outfits! 9. Use JERGENS® Natural Glow® Wet Skin Moisturizer. This stuff is amazing! After you have turned off the water in the shower, apply this just like lotion. Pat your skin dry with a towel and get ready like usual! 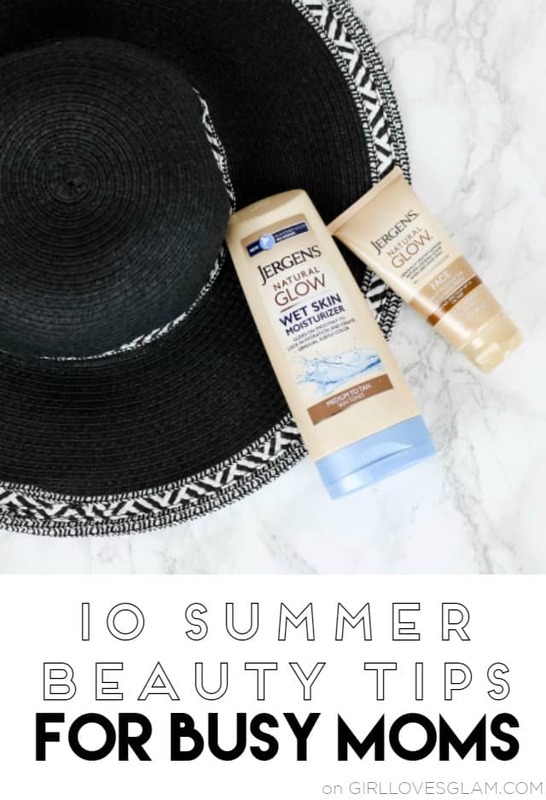 The JERGENS® Natural Glow® Wet Skin Moisturizer locks in hydration, while adding gradual, subtle color to your skin. You can use this daily until you have achieved the desired level of color, then continue to apply once or twice a week. I love that it is a non-hassle option of adding a little color to my skin! 10. 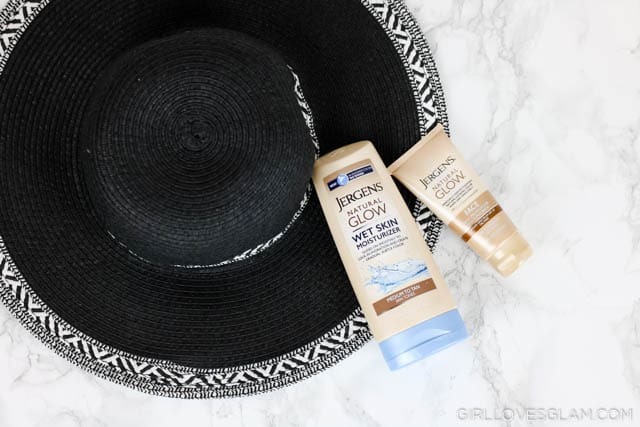 Use JERGENS® Natural Glow® FACE Daily Moisturizer with Sunscreen. This moisturizer gradually adds natural-looking color when it is used once a day. It has broad spectrum SPF 30 so it will protect your face, but it will add the glow that you want, without having to expose your face to too much sun. It is also oil free so that you don’t have to worry about breaking out! 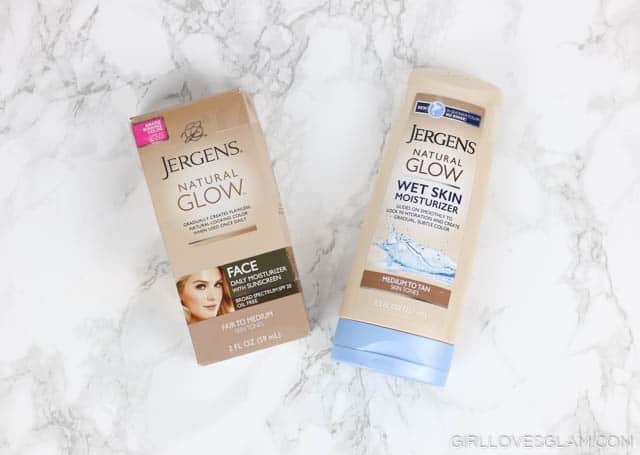 You can find both of these JERGENS® Natural Glow® products at Walmart. 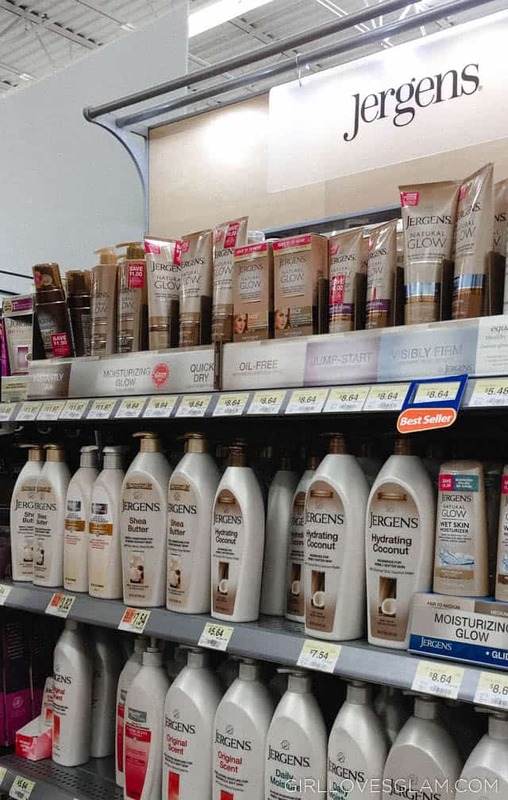 I was able to find them with the rest of the JERGENS® products, but it looked like my store was just getting another shelf in the store ready with self tanning products that these products could be found in as well. You can learn even more about these JERGENS® products by visiting them on Youtube, Facebook, and Instagram. What is your summer beauty routine like?